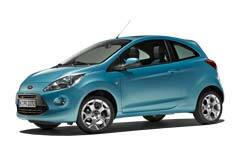 Ford Ka - Car Reliability Search | Reliability Index | How reliable is your car? Reliability Index 17.00 What does this mean? Average Age 4.58 yrs What does this mean? Average Mileage 29,332 miles What does this mean? Time Off The Road (avg) 1.12 hrs What does this mean? Average Repair Costs £171.34 What does this mean? Air Conditioning 0.00% What does this mean? Axle & Suspension 40.00% What does this mean? Braking System 10.00% What does this mean? Cooling & heating system 10.00% What does this mean? Electrical 20.00% What does this mean? Engine 0.00% What does this mean? Fuel System 20.00% What does this mean? Gearbox 0.00% What does this mean? Steering System 0.00% What does this mean? Transmission 0.00% What does this mean? Add this car to compare. Remove this car from comparsion. Be the first to write a review about this car!